The Alphatronic P1/P2 were the first in a range of machines targeted at business and education. It was possible to run CP/M on these models. 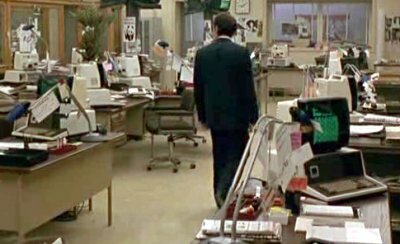 The offices of the newspaper where Rocco works are equipped with Alphatronic P1s or P2s.